2014. By Marty Basch. 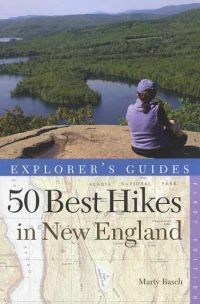 An excellent new 50 Hikes series guide to some of the best outdoor adventures in the six-state New England region. These "can't miss" hikes take you from the relatively flat lands and easy rambles of Rhode Island to some of the most challenging terrain in the Northeast, including 6288-foot Mount Washington in New Hampshire's White Mountains. Every chapter includes clear driving directions, GPS coordinates for each trailhead, detailed topo maps, local history and color, and much more. Softcover.254 pp.